I almost forgot about this one so I am adding it between the Sunday post and the regular BIG CARD one. 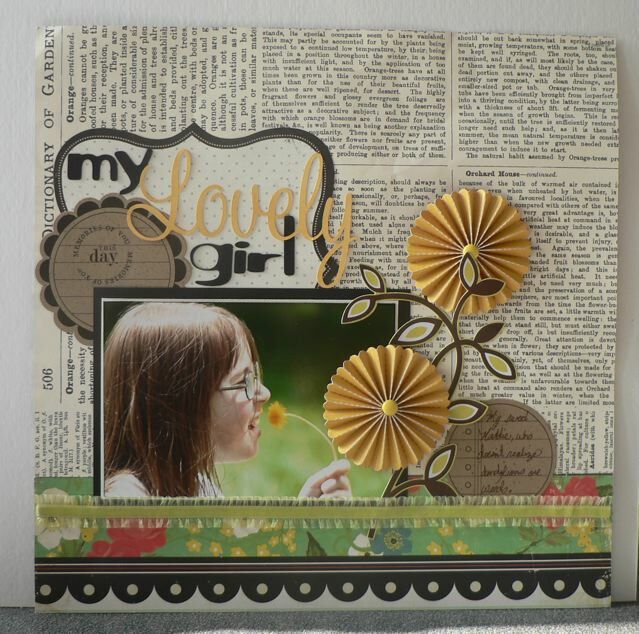 I was thinking about the layout I did a while back with the rosettes. 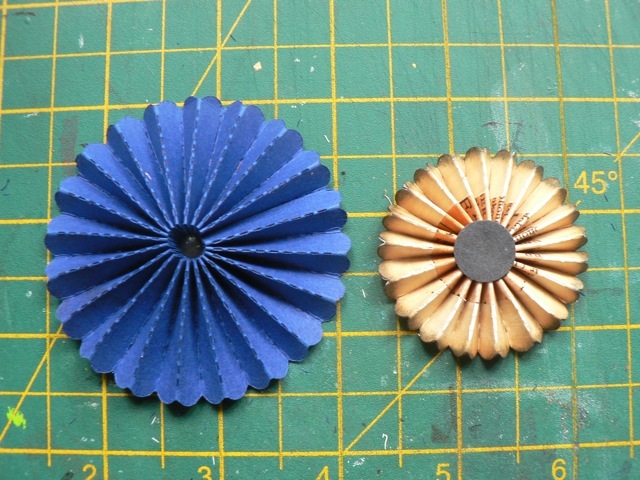 At the time I made it, I had the idea to trim off part of the die-cut, to make the rosette smaller, without having to resort to scoring and creasing one by hand (one that would not have the cute scalloped edge like the die-cut one.) Of course if I had taken a moment to really LOOK at it I would have realized that cutting off the side meant the whole thing basically fell apart. 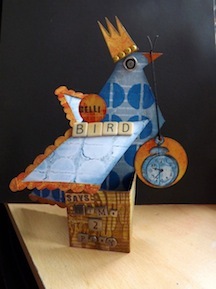 It was bugging me, as things sometimes do, and while I had a roll of Washi tape on my desk it gave me an idea! 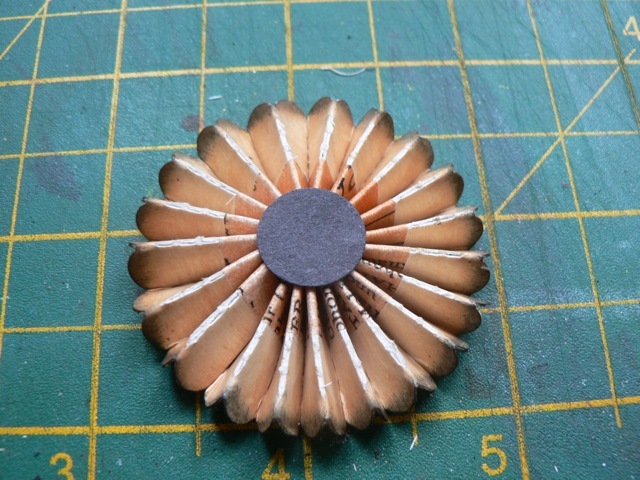 I die cut the rosette, then trimmed off about 1/2 inch from the non-scalloped side. 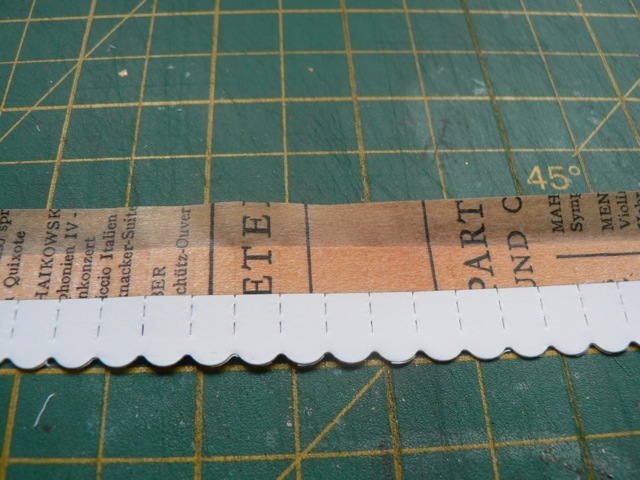 I stuck a line of Washi tape along the cut edge then folded it over to the back. Crease and fold as normal. 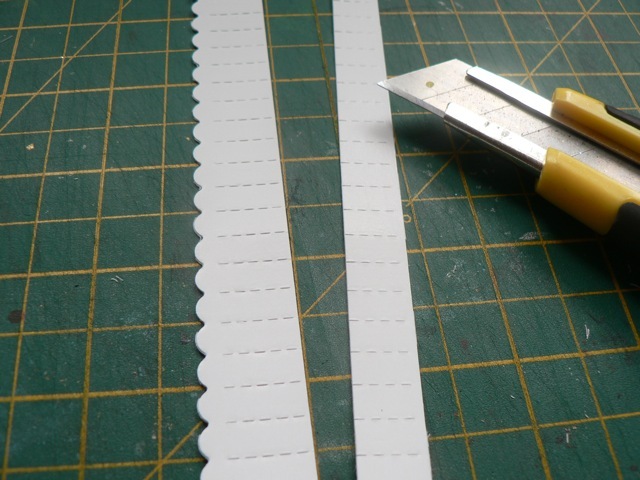 The tape is a little thicker, so really you HAVE to use hot glue to stick it all together – it will spring open if you don’t! 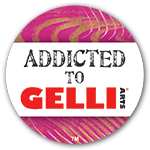 Here you can see it in relation to the normal die-cut rosette…. 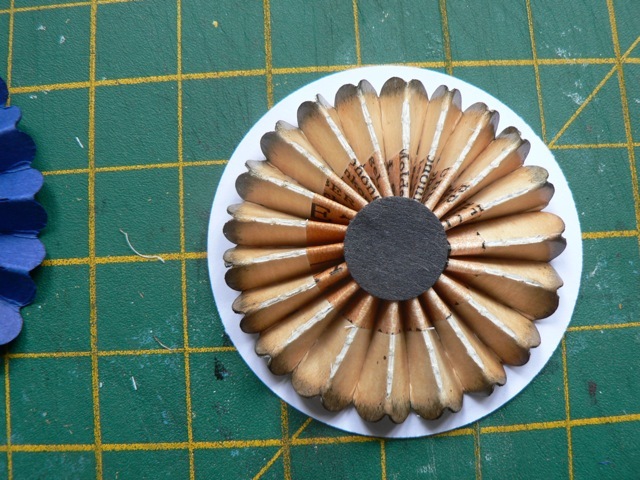 and here on top of a 2″ punched circle, just to give you an idea. I think with various Washi tape/patterned paper combos you could come up with some really cute ones. Categories: rosettes | Tags: how-to, rosettes | Permalink.